When we want to pay money to someone then we can do that in a number of ways. We can pay him by cash, cheque, funds transfer, and the one is demand draft. Demand draft is widely used in India for money things. In most of the cases, demand drafts are used while paying the university fees etc. Not only for paying the university fees there are many other uses too. If you have already made a demand draft and want to cancel demand draft in UCO Bank. Then I will help you do that today, in this article of mine, I have mentioned the procedure which you need to follow to do it. 1) You have paid cash for your demand draft. 2) You have paid money from your account for demand draft. 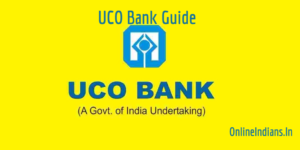 So now without wasting much time of yours let us get started with the article and check out the procedure by following which you can cancel demand draft in UCO Bank. Before we proceed to the further part of this article I would like to make one thing clear. And that is you can not cancel demand draft online. There is no such provision made by UCO Bank so you will have to visit the bank’s branch personally and cancel the demand draft. As soon as you create the DD the amount will be instantly deducted from your bank account it will be taken from you. This is already known to you because you have already made the DD. Now the scenario is you want to cancel the same and want to get the money back. The things which you should have with you right now to cancel the DD are the receipt of cash payment and the original demand draft. If you have paid cash for the DD then you have to visit the bank’s branch and submit the original DD and the receipt of cash payment which you received when you paid the cash. The DD will be taken back to the bank and you will get the money instantly. But please keep in mind that you will not get the whole amount back. The bank will deduct some amount from the actual amount as the cancellation fees. If you have paid money directly from your bank account then the procedure to cancel the DD changes. In this case, you have to fill the DD cancellation form. You can get the cancellation form in the bank’s branch, just ask the bank officials to provide one. You have to fill the cancellation form with all the information asked in the form. When you finish filling the form submit it along with the original demand draft and the amount will be refunded to your bank account. Even in this case, some cancellation fees will be deducted by the bank. These are the two methods which you can follow to cancel DD, if you have lost your DD somewhere then it will be a tough job to get the money back. I recommend you to talk with the bank officials if you have lost it somewhere. Because they can explain you the procedure better than me in the case of loss of DD. So this is how you can cancel demand draft in UCO Bank. I hope you are clear with all the information that is mentioned in this guide. But in case you have any kind of doubts then you can comment down below.